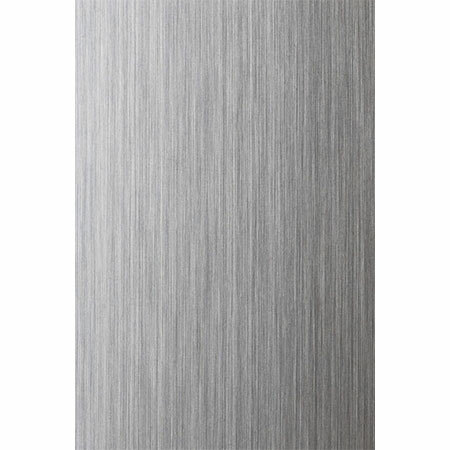 Available in 3'', 3 1/2'' and half-post. Wood species: birch, maple and oak. 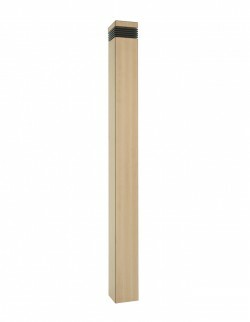 Wood newel posts: all the richness of wood for the staircase of your dreams! For centuries, wood has been synonymous with wealth and nobility and has been used to build stairs for all types of homes: houses, condos, cottages, apartments, etc. 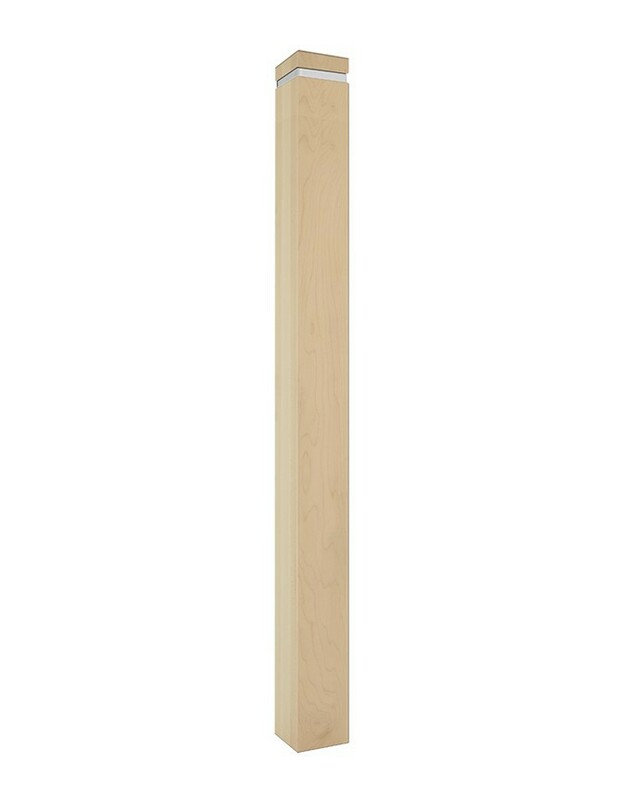 Discover our exceptional collection of wood newel posts, created by our carpenters and cabinet makers, available in three wood species (cherry, maple, oak) and in multiple colors and finishes. 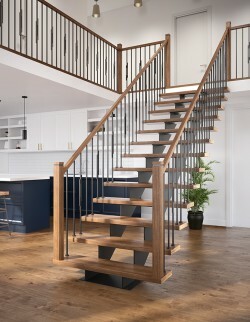 Solid wood newel posts stand out for their solidity and refinement and will provide all the support and stability to your staircase and railings. 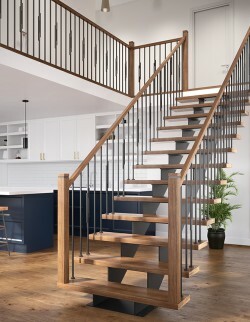 You can combine your wooden newel post with wooden balusters for a traditional staircase, or wooden posts with steel balusters for a more contemporary and urban look. Prestige Metal has been manufacturing newel posts for more than 20 years and offers you the possibility to buy your newel posts directly online. You can also obtain them from our distributors and retailers throughout Quebec, Canada, and the United States. In addition, you can count on the full collaboration of our retailers and stores for the design and installation of your brand new wooden starting posts.